An experiment conducted by Princeton researchers has revealed an unlikely behavior in a class of materials called frustrated magnets, addressing a long-debated question about the nature of these discontented quantum materials. The work represents a surprising discovery that down the road may suggest new research directions for advanced electronics. Published this week in the journal Science, the study also someday may help clarify the mechanism of high-temperature superconductivity, the frictionless transmission of electricity. The researchers tested the frustrated magnets—so-named because they should be magnetic at low temperatures but aren't—to see if they exhibit a behavior called the Hall Effect. When a magnetic field is applied to an electric current flowing in a conductor such as a copper ribbon, the current deflects to one side of the ribbon. This deflection, first observed in 1879 by E.H. Hall, is used today in sensors for devices such as computer printers and automobile anti-lock braking systems. Because the Hall Effect happens in charge-carrying particles, most physicists thought it would be impossible to see such behavior in non-charged, or neutral, particles like those in frustrated magnets. "To talk about the Hall Effect for neutral particles is an oxymoron, a crazy idea," said N. Phuan Ong, Princeton's Eugene Higgins Professor of Physics. Nevertheless, some theorists speculated that the neutral particles in frustrated magnets might bend to the Hall rule under extremely cold conditions, near absolute zero, where particles behave according to the laws of quantum mechanics rather than the classical physical laws we observe in our everyday world. Harnessing quantum behavior could enable game-changing innovations in computing and electronic devices. Ong and colleague Robert Cava, Princeton's Russell Wellman Moore Professor of Chemistry, and their graduate students Max Hirschberger and Jason Krizan decided to see if they could settle the debate and demonstrate conclusively that the Hall Effect exists for frustrated magnets. To do so, the research team turned to a class of the magnets called pyrochlores. They contain magnetic moments that, at very low temperatures near absolute zero, should line up in an orderly manner so that all of their "spins," a quantum-mechanical property, point in the same direction. Instead, experiments have found that the spins point in random directions. These frustrated materials are also referred to as "quantum spin ice." "These materials are very interesting because theorists think the tendency for spins to align is still there, but, due to a concept called geometric frustration, the spins are entangled but not ordered," Ong said. Entanglement is a key property of quantum systems that researchers hope to harness for building a quantum computer, which could solve problems that today's computers cannot handle. A chance conversation in a hallway between Cava and Ong revealed that Cava had the know-how and experimental infrastructure to make such materials. He tasked chemistry graduate student Krizan with growing the crystals while Hirschberger, a graduate student in physics, set up the experiments needed to look for the Hall Effect. "The main challenge was how to measure the Hall Effect at an extremely low temperature where the quantum nature of these materials comes out," Hirschberger said. The experiments were performed at temperatures of 0.5 degrees Kelvin, and required Hirschberger to resolve temperature differences as small as a thousandth of a degree between opposite edges of a crystal. To grow the crystals, Krizan first synthesized the material from terbium oxide and titanium oxide in a furnace similar to a kiln. After forming the pyrochlore powder into a cylinder suitable for feeding the crystal growth, Krizan suspended it in a chamber filled with pure oxygen and blasted it with enough focused light from four 1000-Watt halogen light bulbs to heat a small region to 1800 degrees Celsius. The final products were thin, flat transparent or orange slabs about the size of a sesame seed. To test each crystal, Hirschberger attached tiny gold electrodes to either end of the slab, using microheaters to drive a heat current through the crystal. At such low temperatures, this heat current is analogous to the electric current in the ordinary Hall Effect experiment. At the same time, he applied a magnetic field in the direction perpendicular to the heat current. To his surprise, he saw that the heat current was deflected to one side of the crystal. He had observed the Hall Effect in a non-magnetic material. Surprised by the results, Ong suggested that Hirschberger repeat the experiment, this time by reversing the direction of the heat current. If Hirschberger was really seeing the Hall Effect, the current should deflect to the opposite side of the crystal. Reconfiguring the experiment at such low temperatures was not easy, but eventually he demonstrated that the signal did indeed reverse in a manner consistent with the Hall Effect. "All of us were very surprised because we work and play in the classical, non-quantum world," Ong said. "Quantum behavior can seem very strange, and this is one example where something that shouldn't happen is really there. It really exists." The use of experiments to probe the quantum behavior of materials is essential for broadening our understanding of fundamental physical properties and the eventual exploitation of this understanding in new technologies, according to Cava. "Every technological advance has a basis in fundamental science through our curiosity about how the world works," he said. Further experiments on these materials may provide insights into how superconductivity occurs in certain copper-containing materials called cuprates, also known as "high-temperature" superconductors because they work well above the frigid temperatures required for today's superconductors, such as those used in MRI machines. One of the ideas for how high-temperature superconductivity could occur is based on the possible existence of a particle called the spinon. Theorists, including the Nobel laureate Philip Anderson, Princeton's Joseph Henry Professor of Physics, Emeritus and a senior physicist, and others have speculated that spinons could be the carrier of a heat current in a quantum system such as the one explored in the present study. Although the team does not claim to have observed the spinon, Ong said that the work could lead in such a direction in the future. "This work sets the stage for hunting the spinon," Ong said. "We have seen its tracks, so to speak." This is useful and interesting work. However, Art Winfree's law of coupled periodic oscillators, proposed circa 1967, underlies frustrated magnets, spin ice and the surprising result in this article. Winfree was a bio-mathematician. Not a physicist. I am the only person who thinks that Winfree's law applies to physics. Please see my many prior Physorg posts to learn about Winfree's law, why it should apply extensively to physics, and how it explains many other "surprising" results presented in other Physorg articles. Here, spin ice tetrahedra follow the well established "two in, two out" rule. See Wiki spin ice article. My point is that the two in two out rule is itself just one example of patterns specified by Art Winfree when any system of periodic oscillators coheres. For two oscillator systems, there are two Winfree configurations: same (e.g, spins aligned) or opposed (e.g., spin up, spin down). For a four oscillator system, Winfree patterns can be "in, out, in, out" or "in, in, out, out ". Thus, the two in two out rule of spin ice follows the simplest possible Winfree patterns--those for two oscillator systems. General rules: Winfree. Special subset: two in, two out rule. As to superconductivity, Yes, there is a direct connection. I have urged a Winfree approach to explain the patterns of BCS superconductivity, cuprates (five oscillator perovskite systems), pnictides, and mag diboride (two coherent six oscillator systems). Cooper pairs are doubly Winfree coherent: by spin (up, down) and by orbit (180 degrees out of phase). Two fermions become one boson. Mine is a unified theory. Ockham would approve. 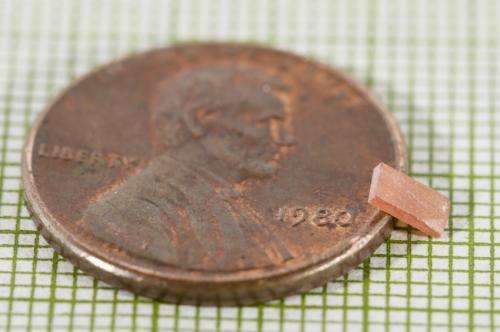 Please see my most recent comments at Physorg article titled: Researchers discover First Manganese Based Superconductor. It covers magnetism and low temp superconductivity in four different patterns, with a phase diagram. You need a place to publish your thoughts that isn't your "most recent comments at Physorg article titled..."
What about quantum spins makes you think that it makes sense to represent them as "oscillators", so that a "law of coupled oscillators" would apply to them? Good challenges, JTI and m'Lord, and fair. For Winfree's law, two references. See "Coupled Oscillators and Biological Synchronization," Scientific American, Dec 1993, by Steve Strogatz (Cornell, applied math, mentored by Winfree) and Ian Stewart, popular math author. Copy free online at an oregonstate.math.edu site. Focus on the full page pictures and two dimensional diagrams of waves representing two and three oscillator systems. Imagine three dimensions. Second, see Strogatz's obituary for Art, also free online, in a Sciam article about 2001. Kelvin asks who says quantum spins are oscillations? Max Planck answered this in 1900, implicitly. His quantum of energy is inherently periodic, cyclical, oscillating. That is a reach on my part, and different from the way physicists think of oscillators, whether periodic or otherwise. I'm vulnerable there. On the other hand, quantum mechanics is a bundle of regular, cyclical, periodic motion, and nothing else. More generally, I respond on two levels, one simple and the other fundamental. On a simple level--facial or morphological--there can be no argument that Winfree's predictions anticipate the two in, two out rule. Critics can say coincidence, no real meaning there, but the shoe fits. The interesting question is whether there is any meaning to this observation. So far, I have provided more than 50 examples over 5 years of Physorg articles in which Winfree's predictions match, in form at least, "unexpected," "surprising" results. I have also identified, in all cases, the specific periodic oscillations that drive the outcome. Kelvin is correct to question whether the sole ingredient in Winfree's law--periodic oscillators--is an ingredient found at all in physics, let alone everywhere as I claim, including energy and matter. Spin is an oscillation. Orbit also. Angular momenta. Quanta of energy. Maxwell's law is about oscillations. Phonons, photons. Periodic table. You used a lot of words, but didn't really answer my question. What, specifically, about quantum spins makes you think it is sensible to describe them as oscillators? To be even more specific, where in Dirac's derivation of spin from his relativistic version of the Schrodinger equation, does the math indicate that spin has the kind of oscillatory character that would justify your arguments and analogies? "Two in, two out" is a rule of thumb that is applied to unrelated phenomena across physics. Your choice to say that it ALWAYS arises from coupled oscillations is a hypothesis that requires testing. In order to test it, you need to first know what to write down in terms of mathematical theory in order to make predictions to compare against measurements/observations. All of that was just a long-winded way of saying: if you can't write a (valid) equation representing spins that explicitly shows their oscillatory character, then what you have is dogma, not physics. "Earlier theories by Nobel Laureate Yoichiro Nambu predicted that magnetic spins oscillate in two directions independently, and thus magnets have two Nambu-Goldstone bosons. The new theory shows that in ferromagnets, these two waves are not independent, so that there is only one Nambu-Goldstone boson, a precession wave as shown above." See "Theorem unifies Superfluids and Other Weird Materials," Physorg 2012. See diagram with spin "arrows" moving in a coherent wave. I posted several comments to that article on Physorg, which should also be of interest. Candidly, I do not have the mathematical skill needed to answer your specific question. I assume I have now lost you, but thanks for your interest. Other readers can simply Google Macksb Winfree Physorg for many examples supporting my theory. Read the articles and my comments. Even Nobel Laureates can make mistakes if they assume magnetic spins oscillate independently. LOL. Macksb, you're directly responsible for the plurality of search results for "Art Winfree's Law". Your claims seem to be based on a misunderstanding. Although Winfree's model was initially based on observations of biological systems, it applies equally to any large group of oscillators whose coupling follows certain mathematical characteristics. The obvious concern is that those characteristics may or may not be applicable to the dozens of varying situations where you have made claims. If not, then a different model would apply (that's right, Winfree's is not the only possible answer). The coupling behavior of particle spins is heavily studied, but there is always more that might be found. Rather than spending so much time posting about Winfree, I'd recommend that you apply for continuing education physics classes at a local university. Ask around; I'm sure you can be introduced to a professor or postdoc with the expertise to properly analyze your ideas. Everything in physics vibrates and it's composed of coupled oscillators - whole the quantum mechanics is about it and it does represent and much deeper theoretical tool, than some silly twaddling about Winfree law - which doesn't bring any clue into subject anyway. p.s. Winfree's ideas were codified more rigorously as the Kuramoto Model. Macksb, you should watch Steven Strogatz's video lectures at MIT and TED. But back to the actual topic at hand: using magnetic fields to alter a material's heat conductivity is potentially a very big idea. I hope these results can be confirmed and improved. The varied gaits of four legged animals give us useful Winfree patterns that shed light on this good Princeton experiment. Horses organize their four legs in certain ways--trot, canter, gallop. Camels and giraffes use a pattern--left two, then right two. All are patterns specified by Winfree for systems of four periodic oscillators (the moving legs). The two in, two out pattern for quantum spin ice is a Winfree pattern as well, also for a system of four periodic oscillators. In this Princeton experiment, one thing changed the system: a heat current was induced into the system. A current is akin to the forward motion of a four legged animal. Here, the current required the electrons to reorganize--more precisely, in a Winfree pattern that is appropriate for the motion of the current. Which one? Perhaps the camel and giraffe pattern (left two, then right two), because the spins should align in that pattern, but that is a guess. Look to moving quadrupeds. The talking about Winfree patterns in spinotronic is something like the talking about Plasma Universe in discussion about dark matter effects. From very distant perspective these ideas have their weak and fuzzy rational core there - but just because this perspective is so distant, they also have nothing specific to say about it. They simply lack both the postdictive, both predictable value. Which is why you're talking about giraffes and their four legs in discussion, which should be about spinons in hexagonal Kagome lattice. Why you cannot recognize, that you have absolutely nothing to say about subject? These experiments are about duality between charge and spin behavior in geometrically frustrated systems. The physicists already know, that when the motion of charged particles gets constrained from three to two or one dimensions, they will often get an interesting behavior. For example the electrons constrained at the layers of superconductor, surface of graphene or topological insulator form a hexagonal lattice, in which the individual electrons cannot move mutually - so called the Wigner crystal. Analogously, when a layered material with unpaired electrons is exposed to strong magnetic field, then the spins of unpaired electrons tend to organize into a planes, where they compete each other in the similar hexagonal patterns - a Kagome lattice, which is spin (i.e. magnetic field driven) counterpart of Wigner crystal (charge driven lattice). Pleased to hear about your interest in hexagonal Kagome patterns, spin liquids and geometrically frustrated systems. I share your interest. Please see a 2012 Physorg article on that subject: "For newly discovered quantum spin liquid, the beauty is in its simplicity." I have two comments there, neither of which mentions horses, camels or giraffes. "I don't know why everyone complains about Wagner's music. It's not as bad as it sounds." Just show us something more than the vague fuzzy homologies. Of course that all systems in which particles oscillate loosely coupled can be subject of Winfree law, like the water molecules inside of water clusters, the electrons inside of quantum dots, the protons inside of isotopes, the spins inside of quantum foam, the asteroids in gravitational resonance, etc. But from the same reason all such a systems are conceptually equivalent each other. You're trying to describe not only spins, but many other systems at the same moment, thus being off-topic. This is like the fabling about Birkeland's plasma currents in discussion about every physical system, in which the particles occasionally interact at distance. IMO the practical usefulness of every idea begins just at the moment, when it's able to move from postdictions (i.e. the descriptive interpretations of already known facts) to actual predictions, which would be otherwise inaccessible. Without it it's just a cognitive ballast. Visual patterns have another virtue: a picture is worth a thousand words. Particularly when imagining the invisible regions of physics. An interesting example is the term kagome lattice. A Japanese physicist, Koji Fushimi, coined this term around 1951 based on the pattern of Japanese baskets by that name. The term is widely used in scientific literature. It has proven value for scientific communication, and a productive resonance among physicists. Known patterns in one field stimulate thinking about pattern puzzles in other fields. At the same time, I respect your views. Macksb, in case I was unclear: I agree with Dethe. Your posts only offer vague notions instead of testable hypotheses. The Kuramoto Model (which is the proper name for what you're promoting) offers insight in certain situations, but in many others it's simply superfluous and doesn't add any useful context. Furthermore, you should assume the latter unless you have evidence (or a proposed experiment) for the former. TL;DR version: "Never believe a thing simply because you want it to be true". You are confused about Kuramoto's intellectual relationship with Winfree. The Kuramoto model is much narrower than the Winfree model (as your own first and third posts stress); it does not purport to subsume Winfree's work, nor attempt to place Winfree's model on a more rigorous footing. Kuramoto aimed at a special case. That is why Strogatz wrote his 1993 Scientific American article (see my cite above) about Winfree, not Kuramoto. Patterns are a key feature of Winfree's model. This feature is extraordinarily useful, which is why I emphasize patterns. Not so with Kuramoto's model: no patterns. Winfree model is applicable to all systems of coupled periodic oscillators. Not so with Kuramoto. Your comments are useful in emphasizing the need for a model of general applicability. I agree with you there. As did Art Winfree. Your critique applies to Kuramoto's model, which in your own comments you conflate with the Winfree model. 1. Old (BCS). Two Winfree periodic oscillator ("PO") systems: spins opposed, orbits opposed, which is how Winfree would see Cooper pairs. Phonons (PO as well) mediate the bond. 2. Cuprates. Five oscillator Winfree system. Four copper atoms in the plane. Big heavy atom (e.g., lanthanum) centered above. Perovskite. Like a horse (four coppers) and expert rider (lanthanum) system. Perfect dynamic Winfree system. 3. Pnictides. Two Winfree systems (magnetic waves, which are PO) organized orthogonally. Basket weave results in which magnetic waves A interact with their wave B counterparts. Must organize in simple two oscillator phase pattern described in posts above--exactly opposed. Thus extended S wave. Reason why FE - AS -- FE must be right angle or very near. Better the angle, higher temp super. 4. Mag diboride. Below the fold. 4. Mag diboride. Two six oscillator systems--ring shape. Analogue: insect legs, which are also six oscillator systems. The two rings as units interact with each other in a two oscillator Winfree pattern. I.e., opposed to each other, back and forth, dynamically (PO). Also, within each ring, more dynamic motion (PO) like pattern of insect legs in motion. Thus Winfree organization twice over, interlinked. Result: pi bonds and sigma bonds. For two six oscillator systems to organize, the two rings must be Winfree organized internally and externally, as a 12 oscillator Winfree system. Dethe: as a friendly nod to you, let's say two hexagonal Kagome rings dancing rhythmically with each other. No frustration. @Macksb ... Recognizing common patterns across boundaries of sub-disciplines can indeed be an important mechanism for scientific discovery. However, pattern recognition is only the first part of the discovery process. To really be scientifically meaningful, you must "complete the cycle", but building a fully fledged, experimentally falsifiable hypothesis of how the proposed patterns actually drive or explain the phenomenon under consideration. Otherwise, the observed similarities may just be coincidental, lacking any deeper significance. In your posts you seem to be taking more of a dogmatic approach, assuming the apparent similarities MUST reflect a deeper connection just because you recognize them. This is nice, but how the superconductivity emerges in it? Just by decreasing temperature by one Kelvin the behavior of system will sharply change and it will remain so during further cooling. How the horse and rider analogy can describe it? Lord Kelvin: I agree wholeheartedly with your description of the scientific method. I do not operate on the assumption that the similarities MUST reflect a deeper connection. I believe that they do, but only on a "smoke... Must be fire" form of reasoning, plus a dash of Occam's sauce, because Winfree's law might offer one simple answer to many seemingly disparate puzzles in physics. Like the plate tectonics revolution in geology in the 1960s. Dethe: Yes. I can add more to the cuprates explanation. Might be a few hours from now due to other commitments. 2. Cuprates. Expanded explanation of cuprate superconductivity, adding to my prior post 5 above this. There is an interesting description online of a five oscillator system composed of a horse and rider. And it footnotes Winfree. See Coordination Dynamics of a Horse and Rider System. Prof Kelso is one of the authors. Four coppers in the cuprate plane might coordinate like the legs of a horse in a two by two pattern. Left front pairs with right back, together then apart. A Winfree two oscillator system. Right front, then left back would do the same, contrapuntally. Like an X. Like American country square dancers. At the level of the electrons, electrons from paired coppers would move accordingly: together, then apart. This would cause them to self-organize as an opposed Winfree pair. An electric current passing through this precisely structured complex Winfree gauntlet might then organize into Cooper pairs. There is a fairly recent Physorg article that provides some evidence for my cuprate model. See "Superconductivity Without Cooling." I made several posts there, which may amplify my remarks here. While I am at it, let me also provide further evidence for item 4 in my list above, magnesium diboride, which I described as a 12 oscillator Winfree system. 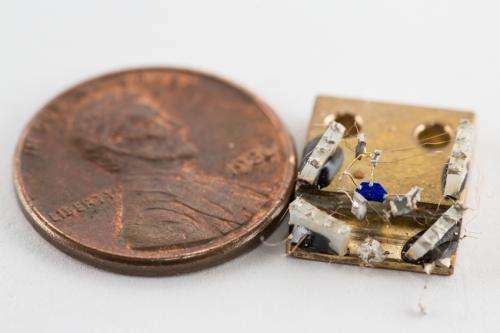 There is a recent Physorg article about a 16 oscillator system involving uranium. See "Team makes stride in explaining 30 year old hidden order physics mystery." See the article and my comments. The 16 oscillator system is in two 8 unit rings. Then the rings organize their oscillating elements in opposition to their counterpart elements in the opposing ring. Mirror image, 8 units to 8 units, following (in this case) Winfree's simple two oscillator rule of organization. Dethe. It would be gracious of you to give me just one courtesy 5, bearing in mind that you gave me a 1 on one of my earliest posts high above. I'll soldier on, nonetheless, at your request. I believe that all phase transitions are driven by Winfree self-organization and reorganization. Solid, liquid, gas, quantum phase transitions--all. Your question to me speaks of temperature and non-linear systemic behavior. Temperature is a proxy for frequency of oscillation. Horses reorganize the pattern of their legs depending on their desired speed, which in turn derives from the frequency at which their legs oscillate. Their trot, canter, gallop phase transitions are a non-linear system based on temperature--excuse me, speed. Not coincidentally, Steve Strogatz (Winfree's leading disciple) wrote a textbook on nonlinear systems. In phase transitions, pressure is the other driver, along with temp. In Winfree terms, the pressure equivalent is proximity (of oscillators). Si vous me le permettez je vais écrire en français. Je travaille sur le Modèle de Winfree depuis 5 ans. Je suis matheux et je l'étudie mathématiquement. Je suis tout a fait d'accord avec vous pour son application aux systèmes physique, et je pense plus, intuitivement ce modèle peut être appliqué a tout système d'une même espèce, vu qu'il est très simple vu mathématiquement et engendrant un couplage de comportement. J'ai fait plusieurs reformulation de ce modèle et aussi des généralisation à des modèles abstraits admettant le même diagramme de phase. Je serais à votre disposition pour toute autre information.